There are 28 Memory Care Facilities in the Lakewood Ranch area, with 2 in Lakewood Ranch and 26 nearby. The average cost of memory care in Lakewood Ranch is $4,960 per month. This is higher than the national median of $4,650. Cheaper nearby regions include Sarasota with an average starting cost of $4,088. To help you with your search, browse the 59 reviews below for memory care facilities in Lakewood Ranch. On average, consumers rate memory care in Lakewood Ranch 3.8 out of 5 stars. Better rated regions include Sarasota with an average rating of 4.6 out of 5 stars. Caring.com has helped thousands of families find high-quality senior care. To speak with one of our Family Advisors about memory care options and costs in Lakewood Ranch, call (855) 863-8283. Lakewood Ranch is a planned community right between Manatee and Sarasota counties with a small population of only 11,323 residents, of which a sizeable 28.8 percent of them are seniors. The growing rate of seniors living with dementia in the state of Florida has grown to 540,000, and to support their senior population Lakewood Ranch has five assisted living facilities that offer memory care services. These facilities have 24-hour support and security mechanisms that monitor and ensure resident safety. The Lakewood Ranch area was given a Sperling’s Comfort Index rating of 83 out of 100. The higher the number, the more comfortable the climate is year-round. Seniors living in this area experience warm winters that have an average of 49 degrees in January, and 244 sunny days compared to the national average of 205. Lakewood Ranch was given an ozone pollution score of B by the American Lung Association, which indicates that there is not much pollution in the surrounding area. This means those living with respiratory illnesses can enjoy leisure activities outdoors with ease and safety. Florida has no marginal state tax, and no taxes on social security incomes or pensions, which makes this state tax friendly. Seniors living in this state keep more money in their pockets to better afford daily necessities or afford quality care. Lakewood Ranch is part of the North Port-Bradenton-Sarasota metro area, which has relatively low crime rates. Violent crime like robbery and aggravated assault in this area was rated at 23.7 out of 100 (one being the safest), which is lower than the national average of 31.1. Property crime was also given a low rating of 33.5, compared to the national average of 38.1. Memory Care costs in Lakewood Ranch start around $4,760 per month on average, while the nationwide average cost of memory care is $4,799 per month. It’s important to note that memory care rates in Lakewood Ranch and the surrounding suburbs can vary widely based on factors such as location, the level of care needed, apartment size and the types of amenities offered at each community. Lakewood Ranch and the surrounding area are home to numerous government agencies and non-profit organizations offering help for seniors searching for or currently residing in an assisted living community. These organizations can also provide assistance in a number of other eldercare services such as geriatric care management, elder law advice, estate planning, finding home care and health and wellness programs. To see a list of free memory care resources in Lakewood Ranch, please visit our Assisted Living in Florida page. 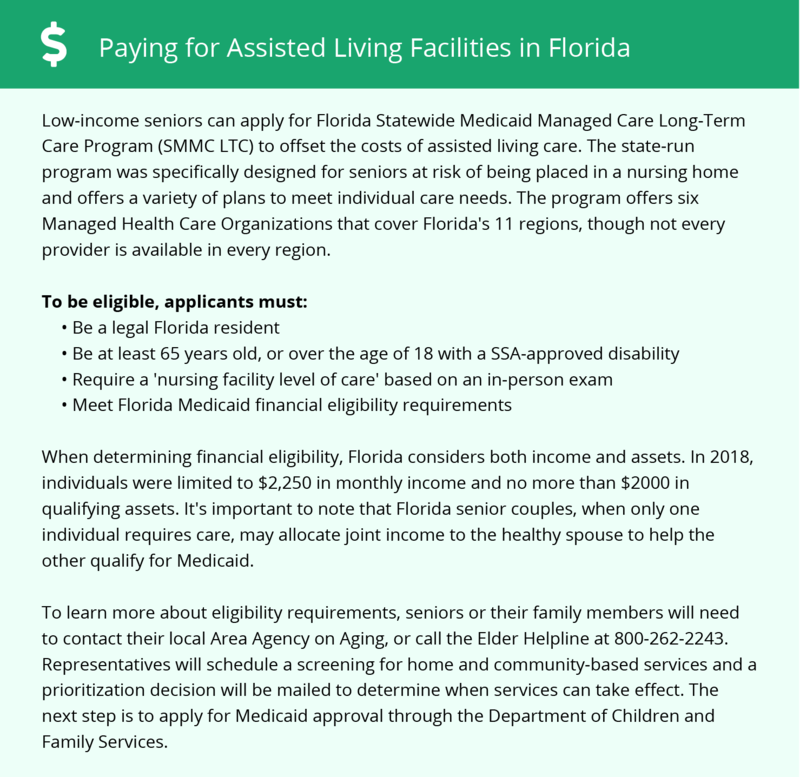 Lakewood Ranch-area assisted living communities must adhere to the comprehensive set of state laws and regulations that all assisted living communities in Florida are required to follow. Visit our Memory Care in Florida page for more information about these laws.